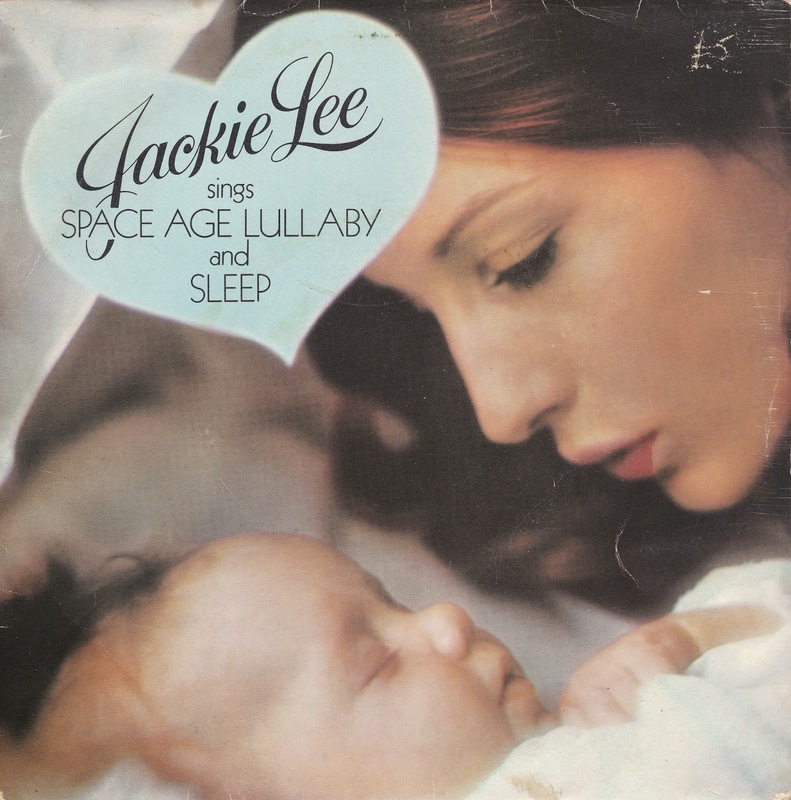 Jackie Lee is no stranger to this blog. Back in March 2012 we focussed on the dual-headed kinderpop sensation "Inigo Pipkin/ End of Rainbow", the B-side of which still causes outbreaks of wistful melancholy in me despite the fact that I'm almost certainly not the target audience. Lee is probably most known for the "Rupert The Bear" theme so far as the general public are concerned, and that's a pity. She cut a number of knockout singles throughout the sixties and seventies, of which the Northern Soul favourite "I Gotta Be With You" highlights her strengths most keenly. A fantastic and highly expressive vocalist, it's unsurprising that she found herself in demand for soundtrack and session work when the "proper pop career" failed. 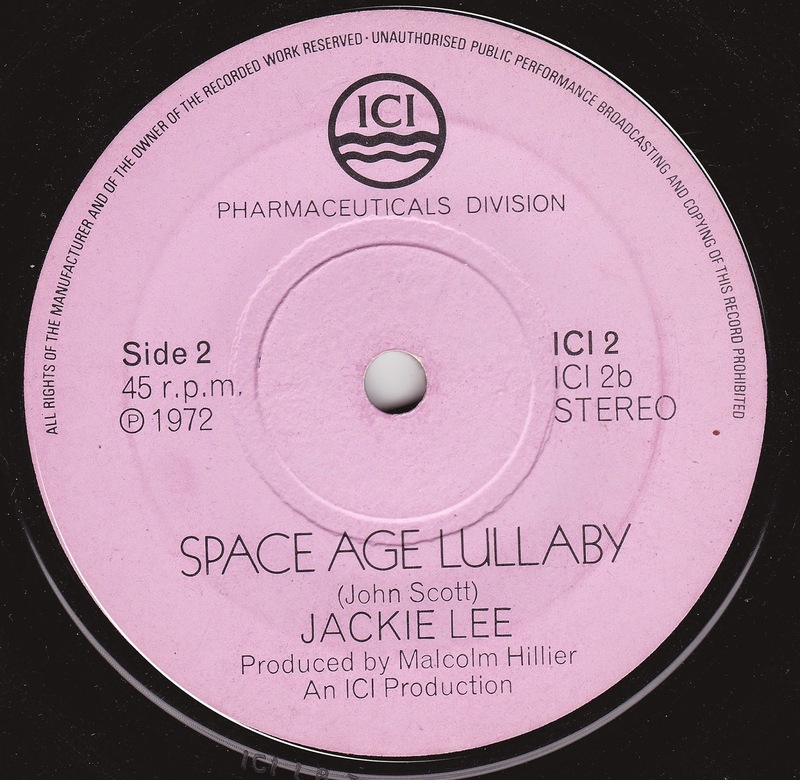 "Space Age Lullaby" is one of the odder Lee efforts, being a Bowie-influenced ballad produced for the Savlon Babycare range (say that sentence aloud, bounce it around the room, revel in how ludicrous it sounds). ICI Pharmaceuticals whisked her into the studio to beautifully whisper lines like "Put another ring around Saturn, space age boy" and "Will you circle the stars incredibly suited/ in silver with fish bowls for eyes", all while backed by a lush arrangement. While it should be the usual cheap plastic junk which is so often thrown off the corporate promotional production line, it's actually a delightful product of its era, filled with wide-eyed wonder and naiveté, embracing the future rather than fearing it. Clearly addressed to a small child, it's sad to consider that we wouldn't harbour such thoughts about a new-born now - we'd just keep our fingers crossed that the future stayed environmentally and economically stable. Lee clearly didn't rush through the session either, or if she did she proved herself to be the master of getting the message across brilliantly with very few takes involved. Her vocal performance has the usual class about it, the hushed, awed delivery of certain key phrases sounding once again as if her methods may have been an influence on Sarah Cracknell of Saint Etienne. I picked this single up believing that it may actually contain laughs aplenty. The idea seems truly ridiculous, after all - yet it's actually a compelling little creation which just happens to have corporate sponsorship attached. Sometimes, to the amazement of everyone, this sort of thing can happen. Fully agree, a singer who knew how to equip a song emotionally, though I remember her best for the majesty of her other hit "White Horses". To me, this sounds like it could've been the theme tune for a Gerry Anderson series. The nerd in me is intrigued by the large lower case "U" in the song title's font.